The use of crystals expressed by Wicca societies remains alive for rituals and healing, in the highest form. There’s an array to choose from such as; agate, bloodstone, citrine, fluorite, onyx, quartz, ruby, tigers eye just to name a few, also, they’re used anywhere from healing to casting spells, used with elements such as; earth, wind, fire, water, spirit and air. Crystals, elegant, beautiful, shiny and colorful however, they are full of energy and healing. Every gemstone cleansed and charged prior to use, done with water anywhere from a few minutes to a few days. Some Wiccans, in addition to, use the elements at the same time, sun or moon, the denser the crystal, the longer they cleanse and charge. The reason gemstones, carefully cleaned and charged, they hold the energies of those who cut and milled them, to the last person who touched them at the shop just before their owner chose them. Always choose your gemstones with respect to them on the smaller scale, as there will be less negative energy attached. Every wiccan has their favorites they’ve hand selected. Some gemstones, have the same qualities, however, essentially they do different things. 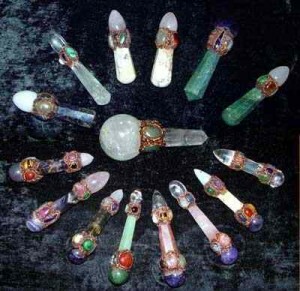 Each crystal holds a different meaning, though some of the healing powers and energies are similar. Gemstones are likening to our souls as much as they exude greatness; they lift our spirits and leave us feeling exhilarated. Gemstones made from the earth and hold all its vast energy and healing powers and this is why they leave us feeling so amazing. Whether they’re part of your altar tools or for spells and charms, crystals, respected in every form as they are completely giving in every way. As Wiccans work one on one with them, they hold the energies of their owners. If you are new to Wicca or Witchcraft you may be wondering How to Do a Spell. Spells work with many things, and many ways. People of course do spells very differently, but I will walk you through the very basics of spell work using candle magick. So you can find some of our hundreds of free wiccan spells. If you are new to wiccan then I feel I must warn you, spell work is not for the silly and immature, you need to attempt to learn things about the craft before you are misguided into doing harmful magick. Magick works just like the basic principles of karma, what you send out you receive back. Don’t do anything you are prepared for, because you always need to be careful what you wish for. before a magickal working to know there results. I am not a fan of that theory, I think you must be attuned to the universe and connected with magick. I can hardly think of a time when someone didn’t know or realize they were doing black magick. The Universe has a way of balancing itself out. So now lets discuss How to do a Spell. One thing that can be said about magick is that it gives you power. Power to do what you want, have what you want, be happy, strong and secure. 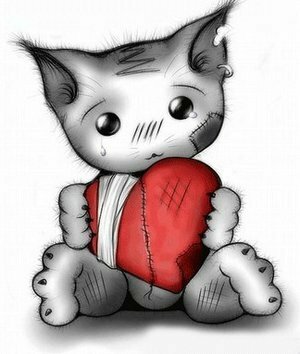 BUT with this we must know about what is right and what is wrong. This article will give you some resources and the very basics of how to do a spell. Magick is a highly individualized working. You have to put your own energies into the working to make it effective. If you found a spell online, then consider writing your own spell custom made to your specific wants. What is it that you want? Why are you doing this spell? This should all be considered while creating a spell. The first thing to be decided is the purpose or intent of the spell. What specifically do you want to happen? What is your desired result? What will change? You must decide exactly what it is that you want to accomplish with this spell. There is no point in know how to do a spell, if you don’t know what you want it for. Here is what the different phases are normally used for in Magic.New Moon – This phase is very similar to the Waning Moon and used to rid ones self of things. Waxing Moon – This phase is for doing Spells that might increase your gain such as money, power or other material things. Full Moon – This the phase where I do my most important spells. For my beliefs are that my Magic is much more powerful during this phase. Most people like my friends only consider the Full Moon the actual day that it is the fullest and marked on the calendar. They do not know that the Moon has the same influence for a seven day period. Once again I personally prefer to work on the night of the Full Moon, at its fullest. Waning Moon – This phase is normally for Spells that do away with things or make things go away. Such as making an enemy go away or a bad spirit or slander along with many other things. The Moon holds a special place in the hearts of witches and non witches alike. Since the moon is the closest astronomical entity to us its energies, rotation, and gravitational field have a intense sphere of influence. It is important to know which lunar phase is most effective for your spell. The full moon is the most powerful time to do a spell. Never do a spell for money during a waning moon, and never do a spell to loose weight during a waxing moon. So as we can see the moon phases are another important element when learning how to do a spell. Another thing to consider is the time of year in which you are doing your spell. If we are following the vibrational and natural patterns of the earth then we know there is a time for everything. There is a time for starting things and planting seeds, there is a time for growing, and a time for reaping. Whenever you can use your magick with the flow of the great Goddess Gaia, then you will see a tremendous result. This is not to say you should wait and do your spell next year, but keep this information in mind for a later date. Most people do there magick at night, this is done for many reasons, the night is calm and soothing, you will have no interruptions, there isn’t the business of the day so other energies are corrupting your magick. You can of course do the magick whenever you deem fit, but generally magick workings are done at Midnight, or later. Now you will need to decide where to do your spell castings or magickal workings. You should be a private place, where you feel the most comfortable, and have enough privacy that you won’t be interrupted. If you can be allowed try to set this place aside for all things magickal, this area will retain your magickal energy making your spells stronger and stronger. This will be your magickal place, where you can be alone and connect with the God/dess. Before you cast your spell have all your tools gathers and ready. These Wiccan Tools have no magick in them. They are magickal tools, designed to help you with your flow of magick but they on their own are not magickal. When used correctly these tools enhance you magick and make your spell casting that much more effective. Choose these items wisely. You can do this by thinking again about your spell and what you want to accomplish. What herbs correspond with this purpose? What color candles, what moon phase, what feelings do they invoke? When buying spell candles make sure they have no fragrances or scent added. Scent heightens senses, and you don’t know if the scent in the candle is appropriate for you it may disrupt your magick. Now that you have your tools together, make sure to cleanse and purify yourself. People since the beginning of time have use ritual baths, Chasity, and detailed rituals for this purpose. You can just do a simple bathing ritual. The goal while cleansing yourself should be to clear your mind, sooth your body and spirit, and getting in the mood for magick. No worries just clearing your mind and relaxing. Now you can do your spells. You must concentrate intensely on the goal, feel the energy. You need to be able to conduct, control and direct this energy as you do your spell. Don’t ever do magick under the influence of anything that can alter your conscious. Drugs, alcohol aren’t conductive to enhancing medicine, and while some expect an altered state of consciousness, you must be able to concentrate. Now that you have done your spell you must remember that the principle of cause and effect apply to the universe and magick as well. So whatever you do or do not do has a effect. So if you do a spell for a job, then know that you will get your job, but you should also be showing the universe that this is what you really want by looking for a job. In magick the old saying “What goes around, come around” also applies to magick. This is called the Universal Law of Retribution, or the Law of Three. The ULR states that whatever yo do, you can expect it back. The Lo3 states that whatever your do expect the same done to you times three. I hope this helps you understand how to do a spell. 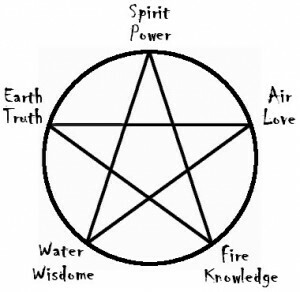 You can find some spells for new wiccans on the website. Learn and enjoy the powers of the Universe, BUT be careful what you wish for. This article was submitted by: Hermione Chinmayee. Hope this article will be informative to you. 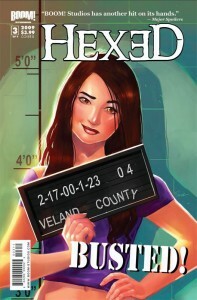 This is article has been requested for a long time. I was never compelled to give you a tutorial because we know not even pagan sect has the same teachings. This is not the exact way I cast my wiccan circles nor would I expect this ritual to be performed exactly as written. With all things, education and expertise will come in time. Blessed Be! With the increasing visibility of the Wiccan religion, the concept of casting a circle has become a portion of our popular consciousness. The concept includes defining and creating a sacred area that’s charged with magical energy and protected from unwanted influences. Choose a space big enough for you and anybody else who’ll be assisting you in casting a circle to move about in. Additionally pick a place and time where you’re unlikely to become disturbed. Cleanse the area ritually by burning sage or an additional purifying incense as well as spreading the smoke all throughout the area. One alternative if you do not have these objects or are sensitive to smoke includes lightly sprinkling water over the space. While you’re performing the cleansing, think about any old energy cycles which are in existence being cleared away. Begin casting a circle within the east of the area. The eastern direction generally is related to the element of air, the power of your spirits and mind associated with these concepts. Pointing and facing east with your finger, wand, or knife, think about these qualities. Invite these spirits to come into the circle in any way which feels suitable. Stroll clockwise ¼ of the way around the circle, making an invisible line as you go with the ahthame, finger, wand, or knife. Think about the line as a wall of energy you’re making around the circle, keeping all negative forces out and all magical energy in. Arrive next at the southern tip of the circle. Continue casting the circle by pointing and facing south and calling out to the powers of this direction, usually related to fire and the attendees’ desire or will. Continue to draw the circle as you stroll the circumference to the west. Invite the powers of the west, oftentimes related to the emotions and the element water. Continue to draw the circle as you stroll the circle to the north. Invite the northern powers, often related to the element earth, unknown or mysterious forces, and the physical world and body. Continue to draw the circle while continuing around the east in which you began. Finish casting the circle by calling out to any additional guests you’d like to attend, like personal deities, and stating that your circle is shielded from unwanted influences. Continue on with whatever you’d like to do inside your circle. As you’re finished, thank the involved spirits and stroll around your circle in the opposite direction, thinking about the boundaries opening, expanding, or dissolving. How do Wiccans “raise energy”? Energy is a true phenomenon, that spreads throughout the universe. We as sentient beings possess personal energy, but there is much more at our disposal and practitioners of Wicca, or Wiccans, use special exercises to raise their own personal energy stores. This is important in the casting of spells and charms, but is also good practice for overall health and well being.The earth is a storehouse of great energy. So too is the sun, moon and solar system. In fact the universe is the wellspring of energy, and practices of Wicca are suited to tapping into this energy and focusing it by intent. It is important to understand that the adage “as long as ye do no harm” applies to every ethical practice of Wicca, including that of raising energy. It is important for practitioners to understand the difference between their own personal energy and Earth energy, in this regard. Also, when appealing to deities or spirit guides, one must show care and respect for the deity involved to make sure that appeals for help are in keeping with the deity’s desires. The principal method of raising energy involves concentration and visualization. In these practices, energy is seen as a ball or sphere located in the solar plexus, and with the eyes closed a Wiccan concentrates this energy, a warm yellow light, and visualizes it traveling down the arms and legs, and through the hands, and back through the nostrils, to center again in the solar plexus.To draw on the energy of mother earth, the practitioner visualizes his own moving down through the lower limbs and returning enhanced by the earth’s energy, which may be of different hues. Caution must be exercised when practicing these techniques, because the Earth power is far greater than that of a single human, and must be dealt with with respect. 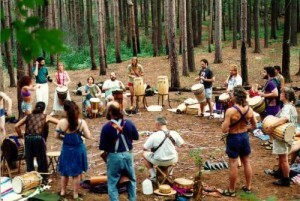 Chanting, drumming, and dancing can also be a part of this process. These practices may be done individually or as part of a group.Having an excess of energy can be a problem and cause light-headedness and other symptoms, which is why raising energy must be balanced with effective grounding. One grounding technique is to squat down and place the palms flat on the earth, until stability returns. These and visualization methods ensure that energy stays in balance. This article is something that is requested ALL THE TIME. While there was some hesitation about posting this article because while I do believe we are co-creating our life with the universe through energy manipulation, thoughts, karma and clarity, I also believe our Universe is self correcting and curses / hexes only have power if we feed them our energy and make them manifest into our reality. So, here is some of what I know about curses and hexes. Here’s another tip, some online scammers will say you are cursed just to jinx you and make you pay them hundreds of dollars to remove the curse. DON’T FALL FOR IT! Make good decisions about who you give your money! Curses andhexes have existed for many centuries, and have brought with them misfortune or worse to those afflicted by their esoteric grasps. This is a simple guide one can use to remove these oppressive spells, and get on with their life.First up is how to remove a curse. So, without further adieu, to remove a curse the afflicted must acquire a square of black cloth a bit larger than one’s hand to act as a depository, a single tablespoon of curry, the same amount of dill and also vervain, a tablespoon of ginger, one consecrated black candle, a black string that has been knotted nine times, and lastly, paper and black ink pen. On the first night of the waxing moon, having gathered these items, one can now proceed with the curse removal. To begin, spread the cloth out upon the ground. Once finished, take the paper and pen, and inscribe the full name and birth date of the person who cursed you. Place the paper upon the cloth, and then bit by bit add each herb on top of the paper. Next, light the candle, then pass five drops of the wax to the paper and herbs. Visualize the person who afflicted you and say their name aloud three times whilst typing the bag shut with the knotted string. Finally, make your way to the person’s property while they are unaware, and bury the bag in a hole, making sure it is in a spot where it can lie undisturbed until the next waxing moon. Once the time comes, dig the bag up and burn the contents. This will weaken the person who has cursed you, and break your affliction. The last removal in this guide is that of the hex, and it is much simpler to deal with than the forerunner of this guide, so let us get on with it. All one needs to deal with a hex is an old cooking pot, another black candle, and simple tap water. Once you have gathered the items you can continue, irregardless of the celestial time. First, place your candle in the old pot, fill the pot with water until it is about two inches from touching the wick, and then light the candle. “If truly hexed or cursed I am, let it break with quench of flame,” you will then recite. When the candle burns down to water level, and the flame dies away, say “So mote it!” Your hex will flutter away. The cover of the Wiccan book of shadows can be any color, picture or design. 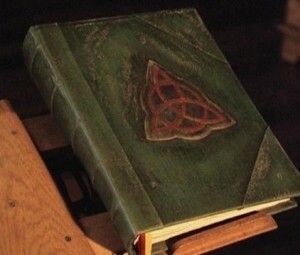 The owner of the book of shadows needs to have the cover be just as personal as the inside of the book of shadows. If the Wiccan has interests in gardening, crocheting, knitting, music, animals, foods, nature, or anything else they can use their interest for the cover of their book of shadows. There are many Wiccans who enjoy the fun and creativity of making their own book of shadows. They enjoy dividing their book of shadows into certain categories that are important to them. By having the categories in the book of shadows it is easier to find the information that is needed to help out with a certain situation. When a Wiccan makes their own book of shadows they are following their own path rather than doing what another Wiccan is doing. Some Wiccans will keep what they have put into their book of shadows to themselves, while others will share what they have in order to help others through difficult times. 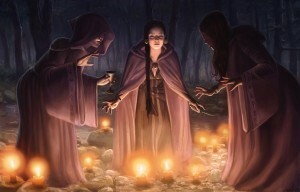 Many times a Wiccan will write down mantras, or music, or meditations they feel will help another Wiccan, but any changes needed to be made to the book of shadows should be made only by the Wiccan who created the book of shadows. The book of shadows is a personal resource to find information quickly when an answer to a certain problem is needed immediately. People have all types of books, and look through all of them to find one answer, when the organized book of shadows is an easier way to go. It does not matter how big or little your book of shadows is. As time moves along you will add or subtract from your book of shadows, until you finally get your book of shadows exactly the way you want it. I hope this article will be informative to you. This is article has been requested for a long time. I was never compelled to give you a tutorial because we know not even pagan sect has the same teachings. This is not the exact way I cast my wiccan circles nor would I expect this ritual to be performed exactly as written. With all things, education and expertise will come in time. Blessed Be! Wondering how to break a love spell? Why did you do the spell in the first place. The threefold law may be lessened but their are always consequences. Some people may be wondering how to break a love spell that they think has been done on them. If you are one of the few people wondering how to break a love spell that has been done on you, then this same spell should work for you. A lot of people have been telling me that the spells I post have worked for them. The most people telling me this are ones who did love spells. Unfortunately these people did these love spells but when it worked they didn’t want to be with that person! I always tell you guys to be careful and weary of karma. You guys have been posting on my Facebook, and leaving comments telling me how well the spells have worked. I am so glad. I know some of you guys are in need of a spell reversal and in this post I will provide one for you. As I said before for those of you wondering how to break a love spell that has been done to you this spell will work. Inscribe the white candle with the rune symbol for clarity. Light a white candle and meditate on the person being free from the love spell. If you are doing this spell for yourself then imagine not being in love with the person any longer and being free from this spell. Be free of this spell I ask of the, be free of this spell, as I will it so mote it be. Combine all ingredients into your herb masher. Grind the garlic, water and chamomile in your herb masher until it is a paste. While concentrating on the spell being lifted put the paste and picture into a jar. While the candle is still lit, go bury the jar into the backyard. Do this spell during the waning moon for the best results. I hope you found this article on how to break a love spell useful. Try to be more responsible with magick, somethings can never be undone and what goes around comes around! This is the classic recipe and has been used throughout time. I use prosperity oil for money spells, luck spells and whole host of other spells and I think it is a wonderful addition to any witch’s’ kitchen. Oils are wonderful accents to spells and as you get more into witchcraft and learn a little more oils and herbs will become more important to you. The steps are simple and you can add or take away any items you want BUT this is pefect as is. You should make this on a Thursday night sometime within the waxing moon. You can also do it on the night of the full moon, but that isn’t mandatory. After you make the oil you shouldn’t use it for the next six weeks. This will make the magick inside the oil more potent and I haven’t had as good results with oils I only allowed to sit for 4 or 5 weeks. 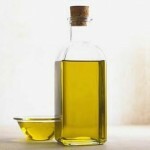 If you must use the oil make sure it has set for at least 3 weeks. Mix the ingredients together as you visualize great wealth and prosperity flowing to you. You can say a chant or affirmation while you are doing this. Place a sparkling clean dime or small silver coin into the base of the bottle. You can clean the dime with baking soda and a tooth brush to get it clean. Pour the ingredients into the bottle and let it sit in dark area for six weeks. Simple spells you can do with this oil include getting a strip of green cloth, placing 7 drops of oil onto the cloth and carrying it in your purse, wallet or whatever you use to carry your cash. You can also wear the oil as a perfume, great before job interviews or wearing to work everyday.